Woods, M A, Newell, A J, Haslam, R, Farrant, A R and Smith, H. 2015. 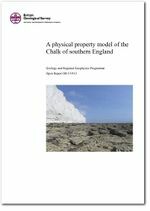 A physical property model of the Chalk of southern England. British Geological Survey Internal Report, OR/15/013. This page was last modified on 27 November 2015, at 10:17.